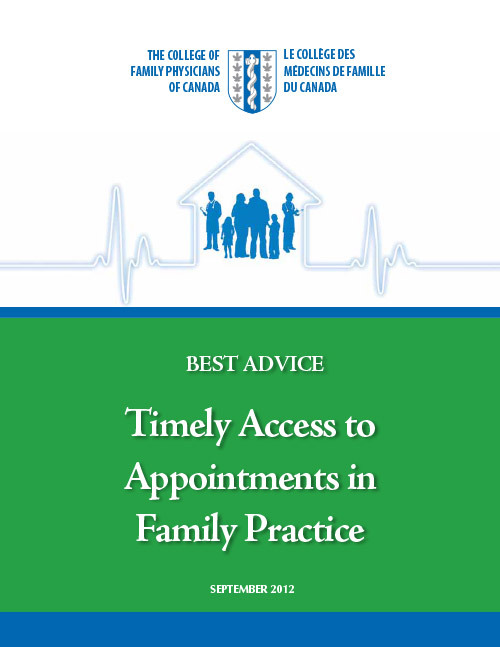 A guide providing practical strategies that support timely access, including same-day access, to appointments in family practice. Timely access has been rated by patients as one of the most important elements of primary care, and it is an important goal and pillar of the PMH vision. To achieve timely access, family practices use a variety of appointment booking models; however, this guide focuses on more recent same-day/advanced access scheduling. The guide also outlines the benefits and limitations of this scheduling approach, as well as tips on how to implement same-day scheduling in the practices of Canadian family physicians.